Welcome Glass Bead fans... Let's get this BLUE MONDAY off to a fabulous start! Our artisans will be sharing the MOST sought after color of lampwork today: BLUE! 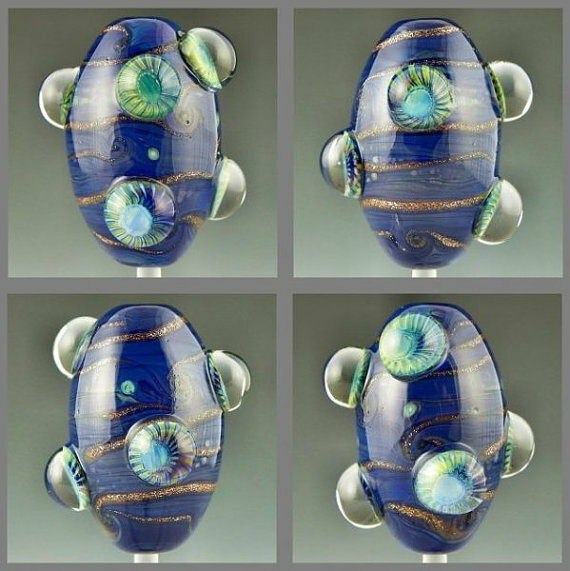 Our featured blue focal lampwork bead was created by Aimee of Polychrome Beads.